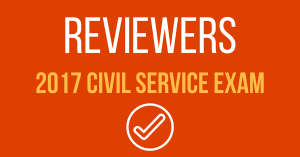 The following are the Vocabulary Questions in 2017 Civil Service Exam. 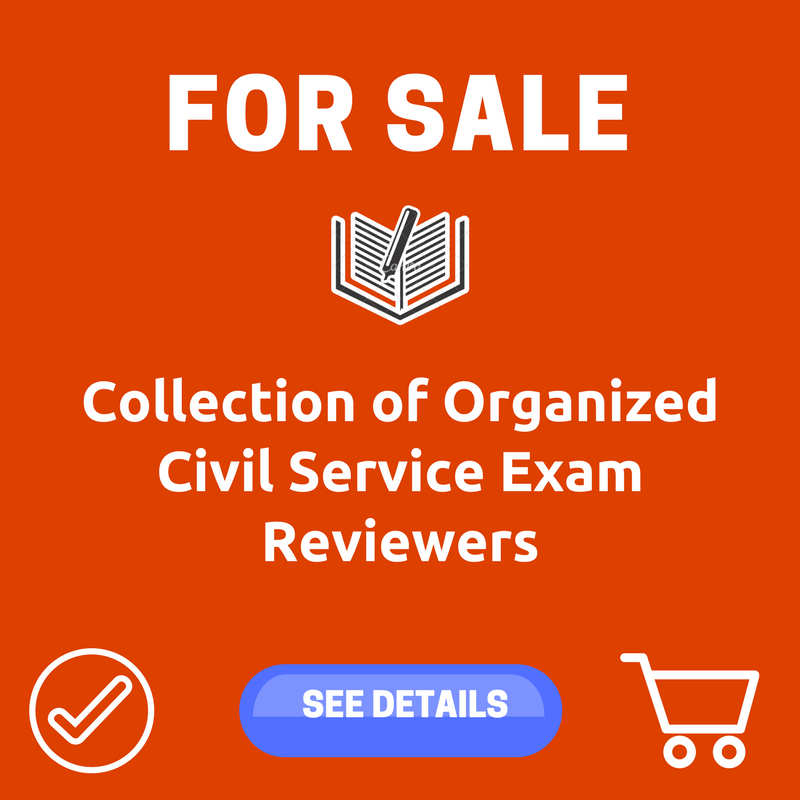 This can serve as your reviewer to the upcoming Civil Service Examination. DIRECTIONS: For each sentence, complete the analogy. On your Answer Sheet, shade completely the bubble that corresponds to your answers. DIRECTIONS: In every Item, Identify the English Idioms and Idiomatic Expressions. On your Answer Sheet, shade completely the bubble that corresponds to your answers. 148. A pretty penny means _____________. a. If something costs a pretty penny, it is very expensive. b. If something costs a pretty penny, it is very inexpensive. c. If something costs a pretty penny, it is very precious. d. If something costs a pretty penny, it is very unimportant. 149. Come out of your shell means _____________. a. If someone comes in of their shell, they never stop being shy and withdrawn and become more unfriendly and sociable. b. If someone comes out of their shell, they stop being shy and withdrawn and become more friendly and sociable. c. If someone comes out of their shell, they never stop being shy and withdrawn and become more friendly and sociable. d. If someone comes in of their shell, they stop being shy and withdrawn and become more un friendly and unsociable. a. If a person shows derring-do, they show unwillingness. b. If a person shows derring-do, they show shyness. c. If a person shows derring-do, they show great courage. d. If a person shows derring-do, they show pettiness. 151. Hot water means ___________. a. If you get into hot water, you get into trouble. b. If you get into hot water, you get a lucky day. c. If you get into hot water, you get a bad day. d. If you get into hot water, you get a burn skin. 152. Keep abreast means __________. a. If you keep abreast of things, you stay uninformed about developments. b. If you keep abreast of things, you stay informed about developments. c. If you keep abreast of things, you stay informed about things. 153. Keep it under your hat means ___________. a. If you keep something under your hat, you keep it unclean. b. If you keep something under your hat, you keep it fresh. c. If you keep something under your hat, you keep it smelly. d. If you keep something under your hat, you keep it secret. 154. Spot on means ________. a. If something is spot on, it is exactly right. b. If something is spot on, it is exactly extrovert. c. If something is spot on, it is exactly wrong. d. If something is spot on, it is exactly introvert. 155. Take a punch means ________. a. If somebody takes a punch, something good happens to them. b. If somebody takes a blow, something bad happens to them. c. If somebody takes a blow, something lucky happens to them. d. If somebody takes a blow, someone will punch him/her. Directions: Choose the word most opposite in meaning to the capitalized word. 136. a. A quarry yields marble, and a hive yields honey. 137. c. Quixotic is an antonym for pragmatic, and murky is an antonym for clear. 138. c. Miserly is another word for cheap, and homogeneous is another word for alike. 139. c. To skew is a synonym of to slant, and to be gloomy is a synonym for desperate. 140. c. An eider is a type of duck, and a cedar is a type of tree. 141. c. To gerrymander is a political term meaning to divide land, and to filibuster is to delay legislature. 143. a. Particular is a synonym for fussy, and meek is a synonym for subservient. 144. d. To mount means to get on a horse, and to board means to get on a train. 145. c. To smear is a synonym of to libel, and to heed is a synonym of to consider. 146. a. A nymph is a maiden, and a seraphim is an angel. 147. d. Poetry is often comprised of rhyme; philosophy is often built on theory. 148. a.If something costs a pretty penny, it is very expensive. 149. b. If someone comes out of their shell, they stop being shy and withdrawn and become more friendly and sociable. 150. c. If a person shows derring-do, they show great courage. 151. a.If you get into hot water, you get into trouble. 152. b.If you keep abreast of things, you stay informed about developments. 153. d. If you keep something under your hat, you keep it secret. 154. a. If something is spot on, it is exactly right. 155. If somebody takes a blow, something bad happens to them.